Today I’m reviewing a lovely pair of Feet that were generously sent to me by a very small company called My Two Parents, a division of Mother Nature Company, Inc. I was delighted when they arrived, as they have become an excellent running tool ever since. The pair of Feet I received were a women’s size 8, or EU 38. They are light in color, almost pasty, and also a little bit bony with short stubby toes and an exceptionally wide toe box. The soles are smooth and pink, with a high arch. But they look strong overall so I think they can handle most of the terrain I typically run on. The toenails aren’t too pretty, though, looks like they haven’t been through a pedicure in awhile. There’s some chipped polish on most of the toes. But that’s okay, I checked with the company and it turns out it’s only a cosmetic defect that won’t affect overall performance. As far as weight goes for minimalist footwear, Feet are the lightest things on the planet. In fact, you can’t even weigh them because of how close they fit with your body, and their difficulty to detach and be weighed separately. But I can guarantee you that no shoe, no sandal and no FiveFinger can match Feet’s sheer invisibility in weight. 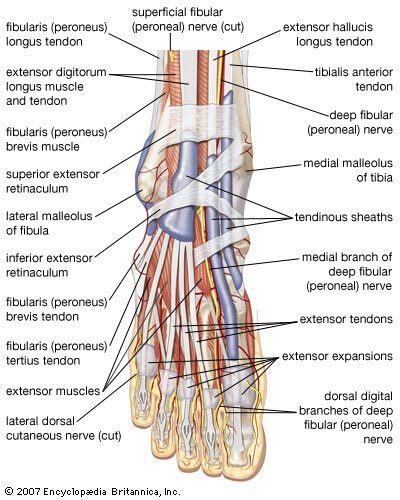 Feet are made up of 26 tiny bones, 33 mobile joints, layers of tendons and muscles intrinsic to helping you run. They also have several layers of skin that hold everything together flawlessly, without any stitching or lacing to fuss over. Feet are, without a doubt, the most complex and beautiful running tools out there, and yet the most simple. They’ve got stellar cushioning capabilities, in this case called the Arch System. Pronation control? You don’t even need it! Feet can allow you to run beautifully no matter what biomechanics flaw the pimply sales guy at your local running store tells you that you have (they don’t like Feet too much over there). Furthermore, you don’t have a mileage limit on these babies, meaning there’s no need to shell out hundreds every couple of months to keep your running “fresh.” You only ever need one pair. By my count, that’s Mother Nature: 3 Nike: 0. Unlike all the other footwear brands, the more you put Feet through, the stronger and tougher they get. If you overdo it and mess them up, they’ll get better after a while and let you abuse them again. They’re waterproof, highly washable and dry almost instantly. 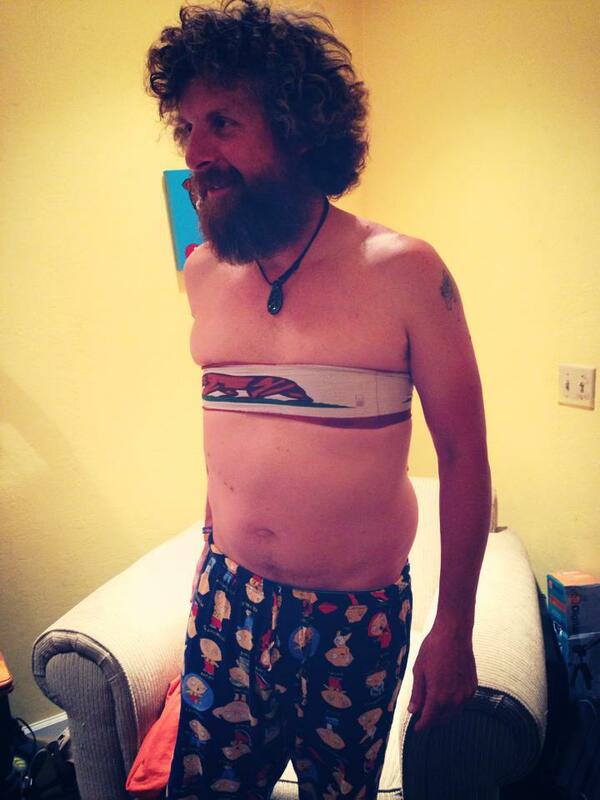 There are no seams on the inside, so no chafing. You can save some BodyGlide there. And you don’t need to wear socks inside them either, Injinji or otherwise. Very cost-effective. I love to take my pair of Feet out for runs on their own during mild weather. The ground feel is exceptional. The best, actually. There is zero loss of prioperception on trails, and they are most definitely your best choice of footwear when it comes to learning or correcting your running form. My only complaint is that the soles don’t come strong enough at first to put up with highly textured ground…for that you’ve got to wear them in a bit before you stop getting ouchies. Kind of like wearing in a good pair of leather flats. Also they’re arguably not all that great during tough New England winters, mine especially – the toes go white when it’s too chilly (but that might just be my pair – every one is different). Some crazy fools and nut bags do go out there in the snow with Feet, though, and to each his own. Shoes as tools, right? Feet are not great for every situation, but that’s okay because no footwear is. Have no fear, you can still wear your Feet under a great pair of minimalist shoes, like Vibram FiveFingers or VivoBarefoot footwear. As long as the shoes don’t prop up the heel or mess with ground feel too much, Feet can still do their job. They’re pretty amazing that way. 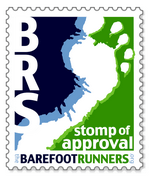 Feet are exceptional, unprecedented footwear, and every runner should own a pair. I take mine with me during every run…heck, I never leave home without them. They are your best running tool, right after, of course, supportive underwear and sports bras. 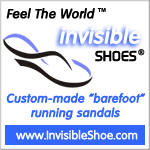 Categories: natural running, product reviews | Tags: feet, lightweight footwear, natural running, shoe reviews | Permalink. I have a pair of these too. My favorite footwear, in fact. Tickled to see that they are catching on! Love it. Can’t believe I never thought to write this review!